GARMISCH-PARTENKIRCHEN, Germany — It was almost perfect. But Austrian skier Nicole Schmidhofer denied Sofia Goggia a fairytale comeback by winning her first World Cup super-G on Saturday. 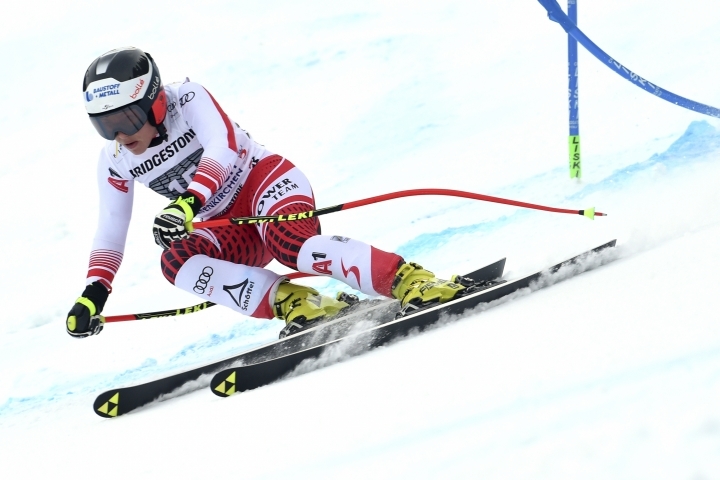 Schmidhofer, the super-G world champion, finished 0.23 seconds ahead of Olympic downhill champion Goggia, who was racing for the first time since October when she broke a bone in her right ankle while training. Goggia returned to training only just over two weeks ago, and she said her fibula was not yet fully healed. Skiing was OK, she said, "just walking hurts." 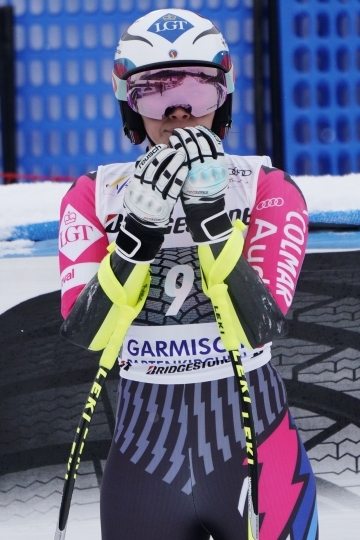 As Schmidhofer finished her run for just her third World Cup victory, the Italian shrugged, lifting her arms with a wry smile. "I was really happy with the race today but actually I was really happy anyway," Goggia said. 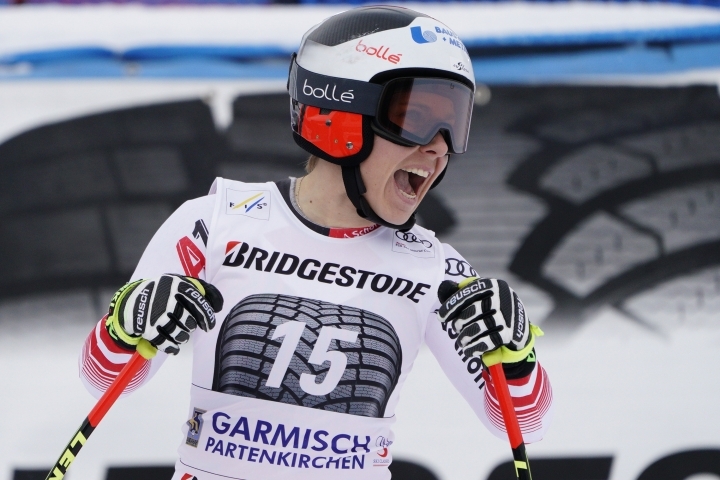 "Garmisch is supposed to be just a test for my ankle. I am really grateful and joyful." She said she was going to approach the world championships in Are, Sweden, "without expectations" when they start on Feb. 5. Schmidhofer, who won the season's first two downhills at Lake Louise, Canada, reflected on her own good form. "You can nearly say this is the best 'Schmidi' that we've ever seen. I've never won three races in one year. Everything is going to plan," Schmidhofer said. 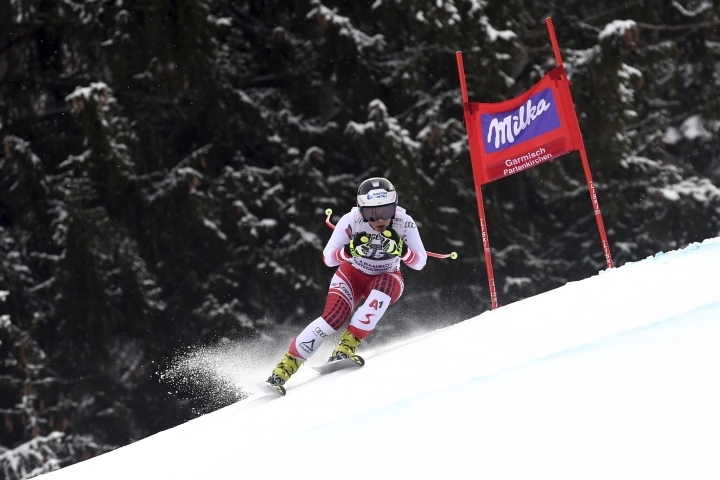 Lara Gut-Behrami, who had been going for her third consecutive super-G win in Garmisch-Partenkirchen, was third, 0.45 off the pace, followed by Italy's Federica Brignone and France's Romane Miradoli. Tina Weirather was eighth. German skiers fared badly on the Kandahar course, with only two from seven starters crossing the finishing line and home favorite Viktoria Rebensburg crashing out. "A bitter day for us," said Kira Weidle, who also crashed out. The super-G start was delayed by heavy snowfall. Conditions improved, however, and a ray of sunshine poked through the clouds as the skiers descended. "It was a long time from the inspection to the start," Schmidhofer said. The race was originally scheduled for Sunday, but organizers switched races due to adverse weather forecasts, and the downhill was moved to Sunday. Lindsey Vonn is skipping the weekend's races to give her troublesome knee injury a chance to recover. 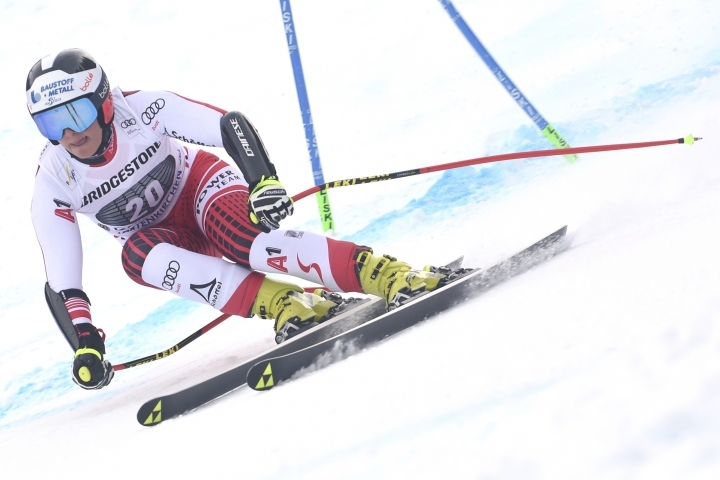 Vonn hinted at immediate retirement after failing to finish a super-G in Cortina the previous weekend. American teammate Mikaela Shiffrin is also taking a break. Shiffrin, the overall World Cup and super-G leader, plans to return in Maribor, Slovenia next weekend before the world championships.